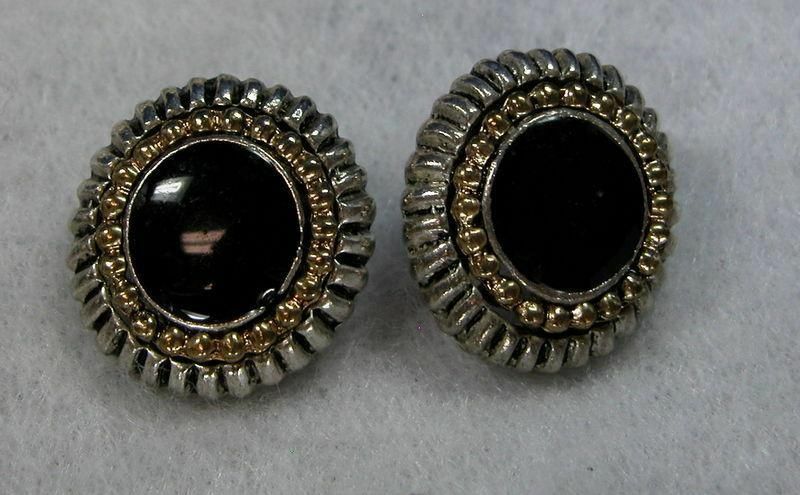 Black and white wood earrings worn by Sharon Gless (“Madeline Westen”) in Season 4, Episode 15, “Brotherly Love,” and Season 5, Episode 6, “Enemy of My Enemy,” of the 2007-2013 TV series. 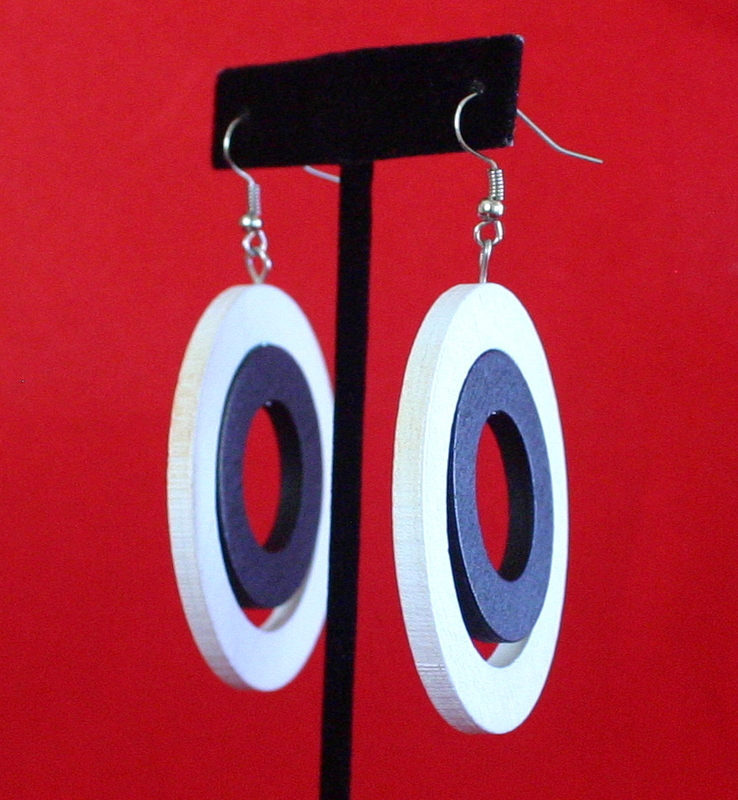 @2 3/8 inches diameter. 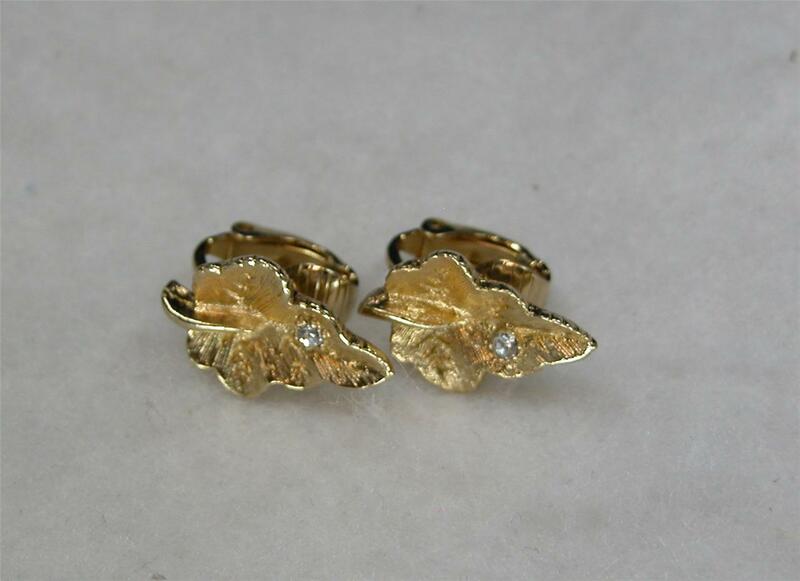 These earrings are in very good condition, showing little wear from production use. 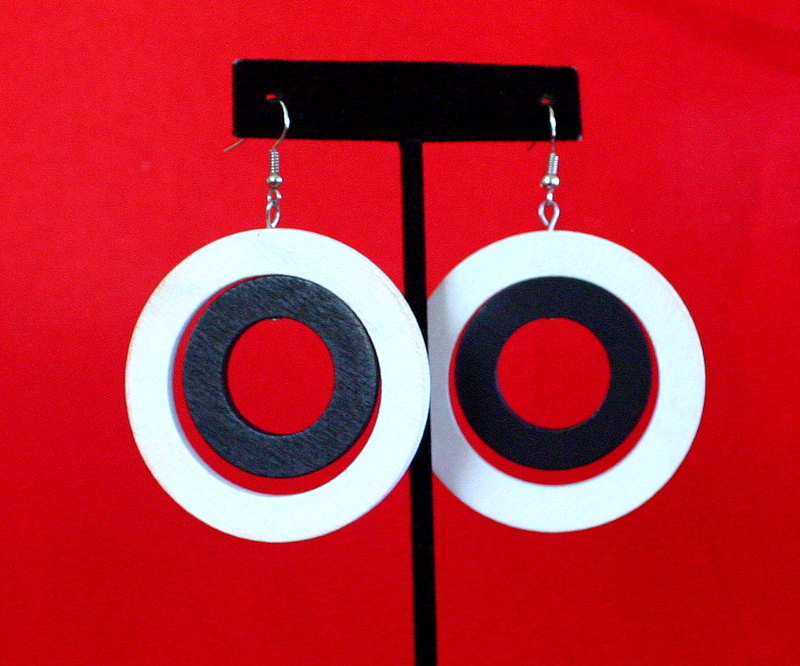 They are ready to wear or add to your collection. 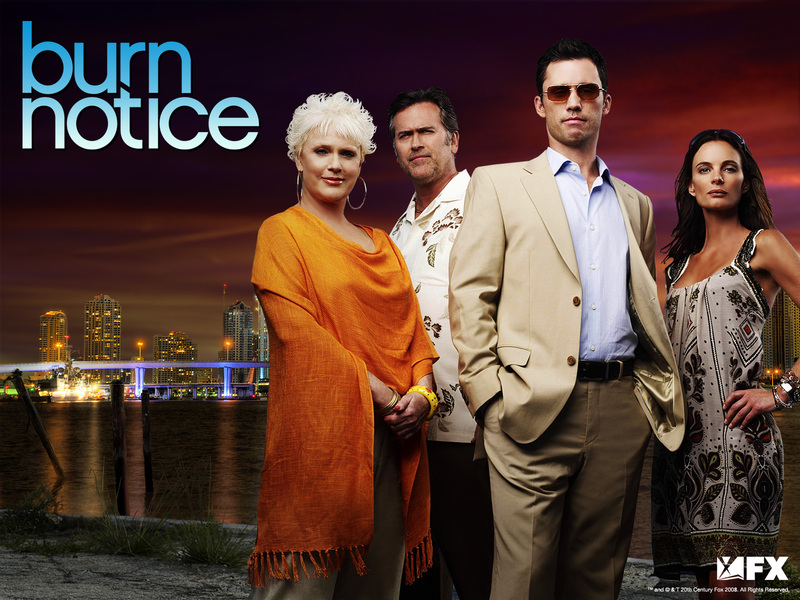 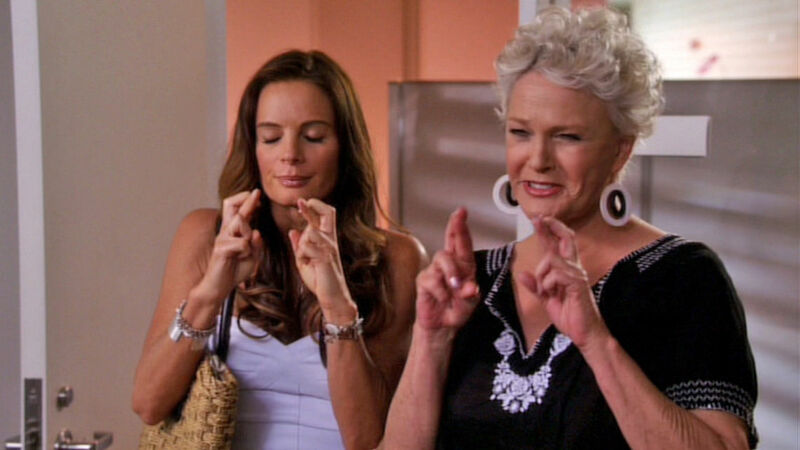 The earrings were acquired at the Burn Notice Final Auction run by J. Sugarman Auction Corporation, March 1, 2014. 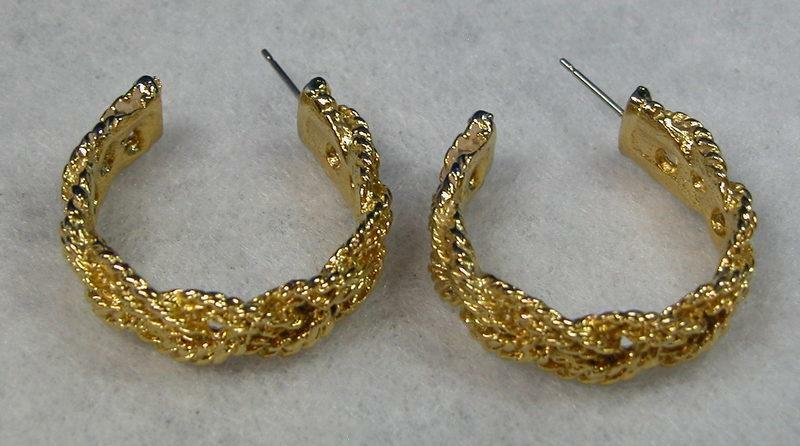 Accompanying the earrings is a Certificate of Authenticity from The Prop Master, with our 110% Authenticity Guarantee.